Do you want to explore the Bay of Fires in its entirety? Our Bay of Fires Discovery Tour covers all 28kms of this breathtaking coastline. 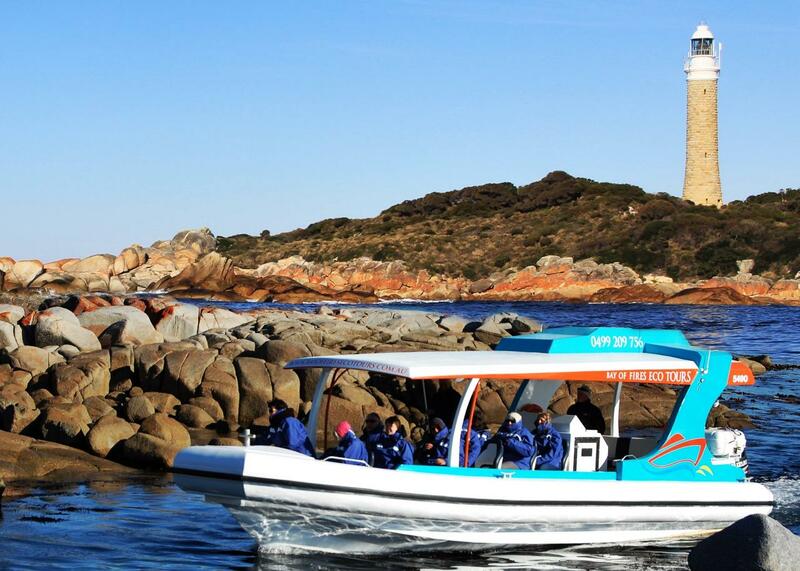 This three hour tour takes passengers to the northern most point of the Bay of Fires, travelling past the conservation area to the Mount William National Park and the lighthouse reserve at Eddystone Point. Share in a light snack as we drift below the light and hear about its history. From here we can see the southern islands of the Furneaux Group. This tour departs at 9:30am - Monday, Wednesday & Saturday from the Binalong Bay Gulch (Main Rd, Binalong Bay). This tour does not operate during winter months. Sometime sea conditions dictate the tours we can undertake, on occasion our full Bay of Fires Discovery tour must be shortened to our Gardens Explorer tour, we understand this can be disappointing for some passengers, however passenger safety and comfort is our number one priority. We require minimum numbers to run tours, we will contact you via phone if minimum numbers have not been reached the evening before your scheduled departure. Children must be accompanied by an adult – Due to the varying sea conditions and the duration of this tour we do not recommend passengers under the age of 5 years, however please feel free to contact our friendly staff if you have any questions.